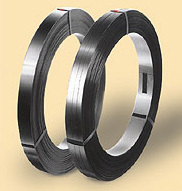 A cold-rolled, medium carbon steel strapping. 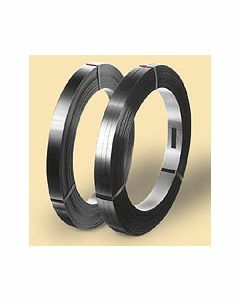 Heat-treated with a Signode process that combines fine surface and controlled physical properties with high strength and excellent shock resistance. *300 ft. demonstration coils are available for these sizes.